You are invited to join members of West Yorkshire Astronomical Society for this one of their regular open evenings at Rosse Observatory. Tuesday evenings are primarily for members and tend to be more formal, Friday evenings are more social and are aimed at beginners including younger astronomers. The observatory offers a classroom area for presentations in case it's cloudy. When the skies are clear there are some great views to be had through their newly installed large reflecting telescope, this despite some local light pollution. Small entrance fee for adults, children free! These events make for a great opportunity to visit your local observatory and go stargazing! Please do check in advance that the event is going ahead and also to confirm the start time as these can vary throughout the year. 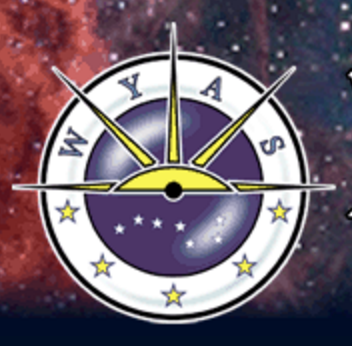 This event is being organised by West Yorkshire Astronomical Society who should be contacted if you have any queries. We highly recommend you confirm this event is indeed going ahead before travelling. If you do attend it would be fantastic if you could let the organiser know you found them via Go Stargazing! Please contact West Yorkshire Astronomical Society directly for more details regarding this event or, if appropriate, contact the event venue.